If you’re instinctively singing the rest of that catchy theme song now, you’re probably not alone. “The Jetsons’” jingle and the animated show it introduced worked their way into the cultural consciousness starting in the 1960s — and again when the show was revived in the 1980s and became a movie in 1990. It lives on in syndication on Boomerang Channel, if you’re dying for another go-round of insta-meals, robot housecleaners, and, of course, flying cars. Or, you can turn that last part of the futuristic view portrayed on TV into a real-life reality. AeroMobil is here to help. 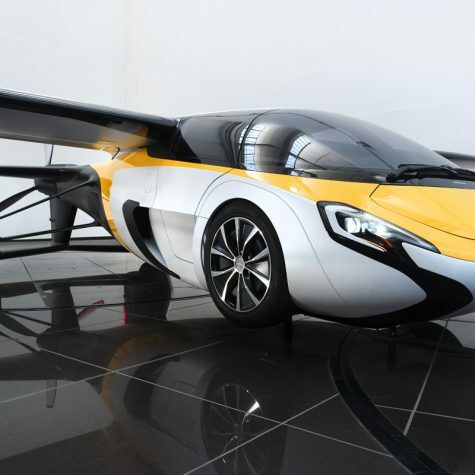 The Bratislava, Slovakia-based company debuted its new flying car in April at Top Marques Monaco, a ritzy annual auto show in the same city as the upcoming Monaco Grand Prix. Truth be told, the hybrid AeroMobil concept may actually be more James Bond than George Jetson. 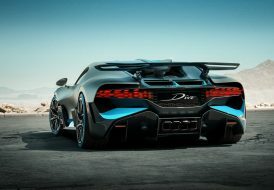 The two-seater features an electric engine and carbon-fiber body, with folding wings that pull out, enabling the vehicle to transform to flying mode in under three minutes. Range comes in at more than 400 miles, whether on the ground or in the air. And don’t forget about the parachute that deploys if an emergency landing is needed. Not surprisingly, the unveiling in Monaco kicked off a new wave of “race to the sky” headlines. 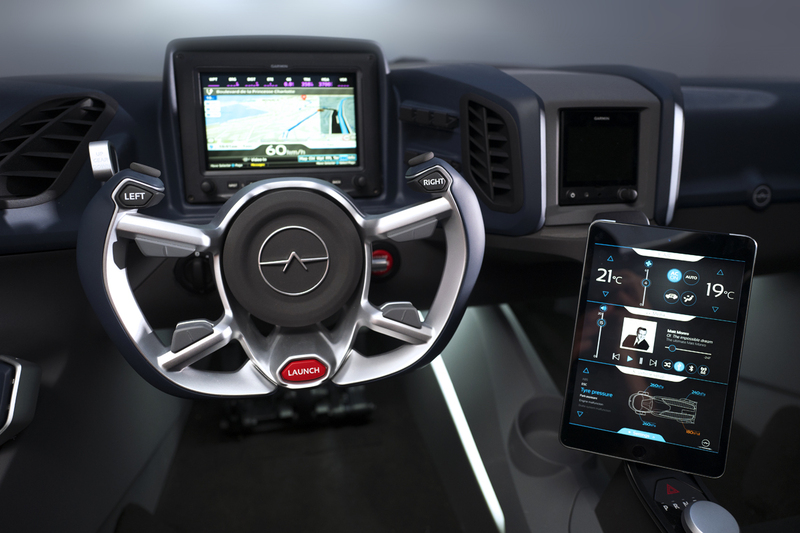 It also tantalized toy-lovers for whom self-driving cars have already become passé and who are now competing for one of AeroMobil’s first 500 vehicles, set for release in 2020. So how is AeroMobil going about liftoff? We went right to the source, and AeroMobil Chief Communications Officer (CCO) Stefan Vadocz gave us plenty to look forward to. Coldwell Banker Global Luxury Why flying cars? of energy than most civil helicopters and personal drones. Coldwell Banker Global Luxury How long has the car been in development, and what has the testing process been like? Stefan Vadocz The AeroMobil concept has been in development since 1989, when cofounder Stefan Klein began working on the idea of a flying car. The business as it is today started commercialization of this concept in 2010. The project reached a key milestone in the summer of 2013, when we finished and successfully demonstrated the functioning of the prototype Roadster, AeroMobil 2.5. 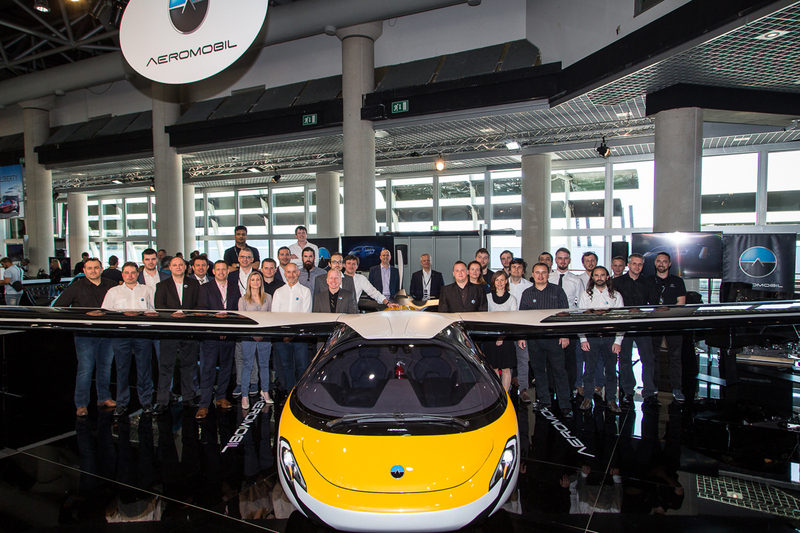 The next key milestone was the successful completion of AeroMobil 3.0 in October 2014. This is a fully functional prototype that reached Technology Readiness Level 7 (signifying the prototype is near or at the planned operational system) and incorporates all key functionalities, materials and most of the features that will be found in the final product, such as advanced avionics equipment and an advanced parachute deployment system. 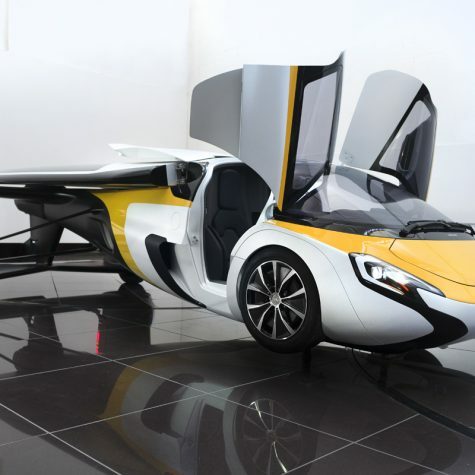 Coldwell Banker Global Luxury How does the reality of AeroMobil stand up to the image of flying cars many people have — one that has been shaped by references like “The Jetsons”? Stefan Vadocz The AeroMobil design is rooted in the latest aerospace and automotive knowledge; it respects the engineering standards in this industry in the highest possible ways. 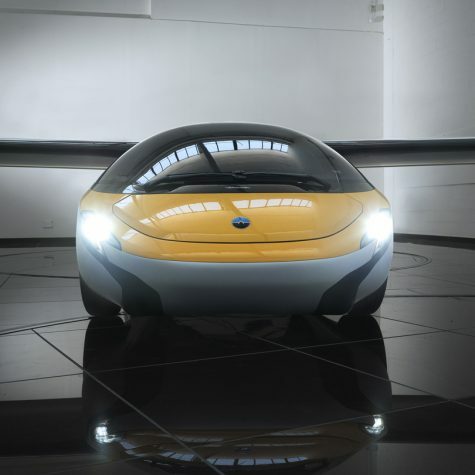 Speaking about the design, the inspiration for the AeroMobil vehicle was a perfectly aerodynamic teardrop shape. Like petals opening, the wings gradually separate, as does the retractable landing gear and entrance for the crew. The exterior is highly aerodynamic, with strict attention paid to safety and control, both in the air and on the ground. This focus on safety, however, has not stopped the design and engineering team from developing a unique design, with elegant proportions and a refined appearance. AeroMobil’s exterior is a real technological showcase, utilizing the latest in carbon composite construction to deliver aerodynamic performance combined with automotive strength. Advanced optimization and analysis techniques have delivered a vehicle that, when airborne, demonstrates stability and predictability, and which has a flight envelope that is comparable with existing standards in the field of general aviation. 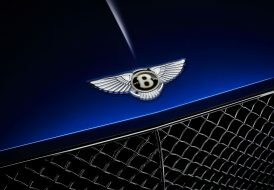 Coldwell Banker Global Luxury What will be happening between now and the car’s planned release date in 2020? Stefan Vadocz We are currently taking the first pre-orders for our limited-edition vehicle, which will be capped at 500. During the next few months, we will be optimizing and testing the vehicle and starting its production. Coldwell Banker Global Luxury Why release only 500 vehicles initially? Stefan Vadocz We decided on a limited-edition production for the initial vehicle, as it is the standard in the supercar market segment. 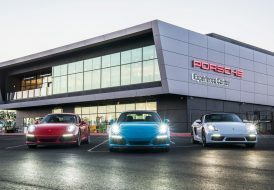 The first 25 vehicles will be a “Founders’ Edition” and will contain series-specific product content, along with an expanded benefits package. First, AeroMobil is really an exceptional vehicle. 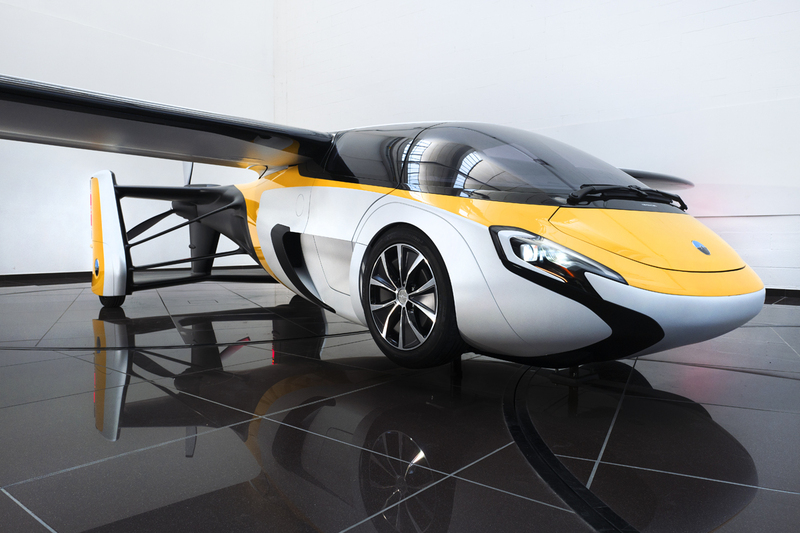 It’s a real flying car, with all that a car and an airplane have to offer. Coldwell Banker Global Luxury What has the reaction been like since the debut in Monaco? Stefan Vadocz Very positive. We are receiving a lot of media requests and also pre-order enquiries almost every day from around the world. Coldwell Banker Global Luxury Are you able to provide an update on any reservations that have been made up to this point? Stefan Vadocz We started our pre-orders campaign just a month ago, and we are picking up good interest from potential buyers. However, we decided to respect the privacy of the future owners and are not disclosing any numbers or identities at this stage. Coldwell Banker Global Luxury Outside of the novelty factor, why should people be excited about flying cars, and who do you see as the buyer for AeroMobil? Stefan Vadocz Our customers are coming from various backgrounds and markets. 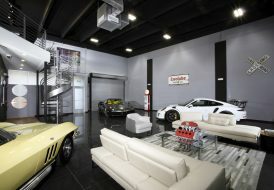 Supercar buyers, vehicle collectors and technology enthusiasts are very interested groups. We also receive a lot of interest from general aviation pilots, who see the immediate benefits of the AeroMobil vehicle from the total cost of ownership perspective as well as the flight characteristics. Coldwell Banker Global Luxury Uber recently announced it is eyeing Dallas and Dubai as kickoff cities for flying taxis. On the same day as AeroMobil’s announcement, Lilium released a video of its two-seater Eagle prototype in flight, in advance of the development of their five-seater air taxi. 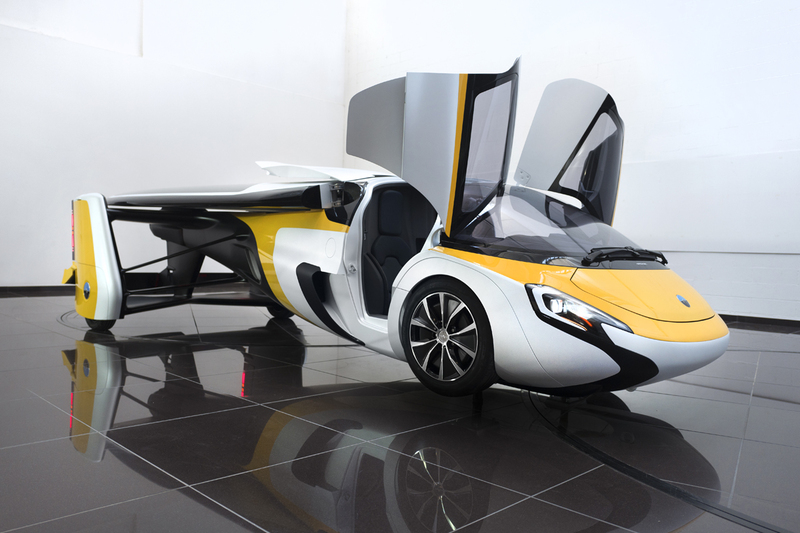 Is there legitimately a “race to the sky,” and if so, why is AeroMobil poised to win it? Stefan Vadocz We built our initial vehicle to fit into the existing regulations for airplanes and automobiles. We do not need to wait for new regulations or technology to go to market. Our vehicle is engineered to be ready for use by any driver or pilot with a private pilot’s license. In the future, we expect that our vehicle can become part of the mobility-as-a-service scheme in cooperation with a partner or on its own. The “race to the sky” is here to stay for some years, as many of the general aviation companies are also introducing new aircraft and making flying more accessible to the public. AeroMobil has one big advantage of driving capability as a hybrid, which affords the potential for use of the vehicle in bad weather conditions, when most of the other aircraft and drones would be grounded. Coldwell Banker Global Luxury How long do you expect it to take for the first 500 to be absorbed, and what’s the next step after that? Stefan Vadocz The production run is planned for the next several years, and our plan for the future is to incorporate more autonomy into the flying mode and produce self-flying vehicles. Coldwell Banker Global Luxury A recent Newsweek article expressed doubt that AeroMobil’s vehicles would make it to the mass market because of “the cost of the flying cars and the need for a pilot’s license.” It also likened the company’s business model to Elon Musk’s process of using initial offerings of Tesla to fund more affordable versions of the electric car. What are your thoughts on that? Stefan Vadocz The newest AeroMobil is purposefully designed as a breathtaking, highly desirable, truly niche, high-technology luxury vehicle. 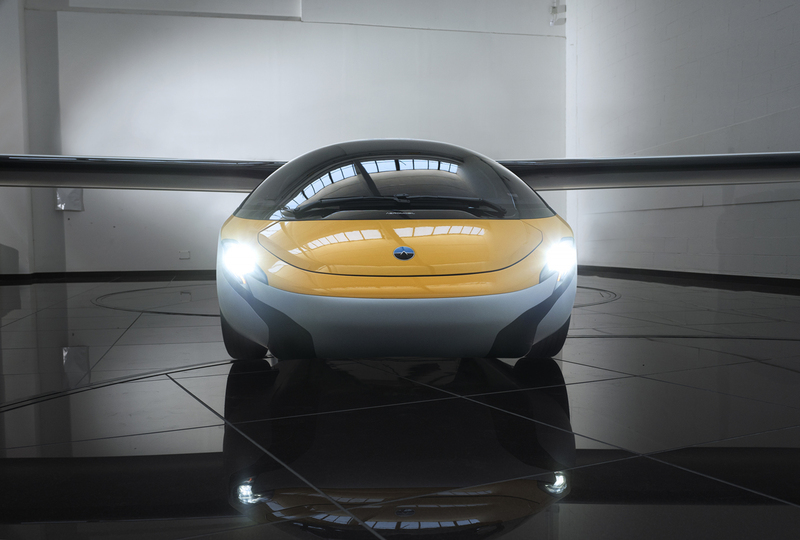 It aims to demonstrate the team’s unique engineering capability and to position AeroMobil as the desired brand at the forefront of a new but rapidly evolving flying car industry. In the longer term, the strategy is to develop a series of models in different price categories to meet a variety of identified market opportunities, ranging from personal travel to the ultimate target of a mass-market mobility-as-a-service offering. Coldwell Banker Global Luxury The online estimates for an AeroMobil vehicle have been ranging from $1.28 to $1.6 million. Is it too early to narrow it down? Stefan Vadocz To significantly reduce the cost of flying cars in the long term, we are bringing an automotive, high-volume approach to a traditionally conservative, low-volume aerospace industry, significantly cutting components’ costs via smart design, novel materials and production automation, while fully conforming with civil aviation industry requirements. This approach is being warmly received by investors, and we are delighted to have recently received our latest investment from Patrick Hessel, who is a recognized expert in this field. In the coming months, we will be looking for additional investors who can contribute to our disruptive approach and further strengthening our position at the forefront of the evolving flying car industry.